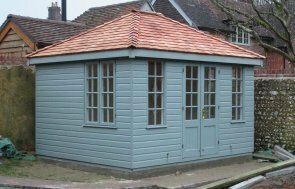 This beautiful Cley Summerhouse is one of our wider range of timber Summerhouses, all of which include delivery and installation as standard. This particular model features a hipped roof and grey slate effect roof tiles, which is offset by Pebble Valtti Paint on the walls and Ivory on the windows and doors. White guttering will help catch excess rainfall, and leaded windows help to add the traditional feel of the building. Internally, there is natural matchboard lining, and insulation in the walls and ceiling to help increase comfort levels. Our summerhouses are popular for use as reading rooms, entertainment spaces, or simply just somewhere to relax and look out over your garden. They provide a beautiful focal point for any garden and are sure to impress any guest. 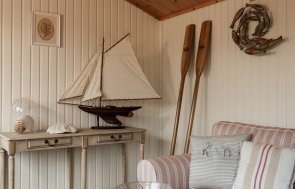 All our garden buildings are hand-crafted using the finest Scandinavian timber from our partner mill in North Sweden. Sourcing our material from here means we can be sure that all products are made to the highest-quality and can be used for years to come. All our buildings are manufactured in Norfolk and can be made bespoke dependant on the customers specifications. Our show centre and factory HQ in Norfolk has a number of different size and style buildings on display, which you can experience first hand. Why not plan a visit this weekend and have a chat to a member of our expert team? 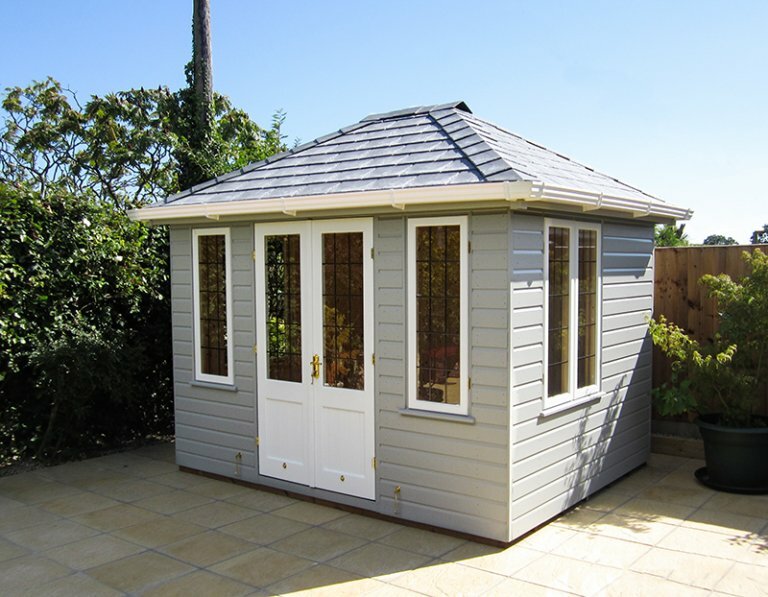 Additionally, you can continue browsing our range of summerhouses online by clicking the link below.